The Honda PCX (yes, another Honda) is the most popular scooter in our top ten, which might come as a bit of a shock given its price. Despite its size, this is no maxi-scooter so you’re not paying for performance, instead you’re splashing the cash on a well-equipped, high-end scooter ideal for commuting and riding around town. It’s something of a revolutionary thanks to it’s fuel-saving, idle stop start system – the engine turns off when you’re ‘idle’ – this returns an impressive 133.9mpg, according to the manufacturer. 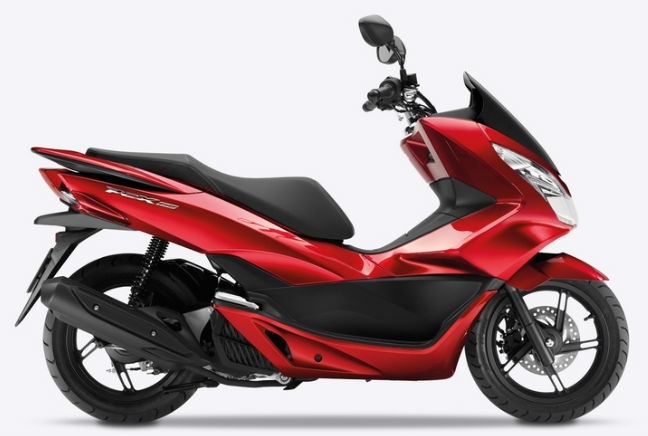 In terms of appearance, the PCX is a slick looking machine with a tall windshield and distinctive headlight. From new, the 125 scooter costs £2,600 and below you can see the average minimum cost of a comprehensive insurance policy.